“Agitate! Agitate! Agitate!” is a quote from activist Frederick Douglass who was one of the greatest public speakers in American history, so it’s only fitting that the new exhibit in his honor at the American Writers Museum (AWM) is entitled Frederick Douglass AGITATOR. Frederick Douglass escaped from slavery to become one of the most eloquent voices of abolitionism and his words remain a touchstone for anyone fighting inequality or pushing America to fulfill its promise of ensuring equality for all. 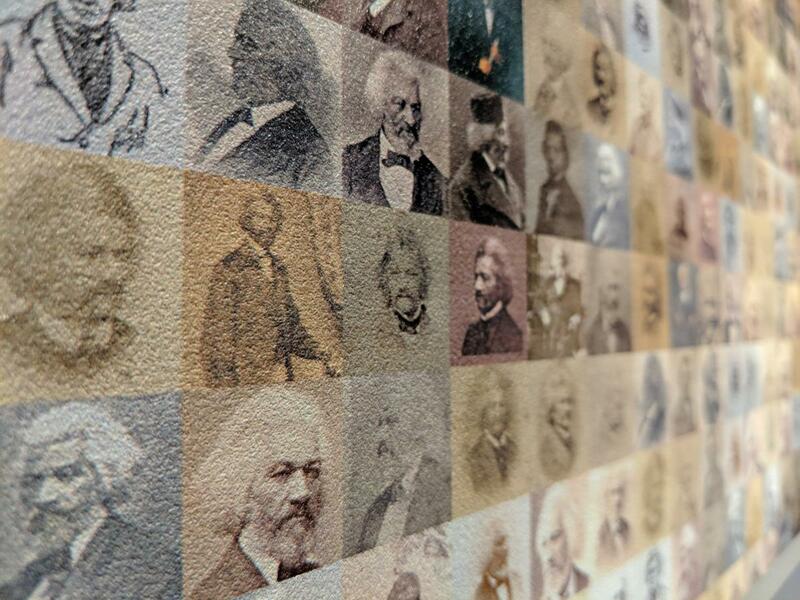 Opening in the Roberta Rubin Writer’s Room June 22, 2018 - May 31, 2018, this exhibit sponsored by Allstate Insurance Company (Lead Sponsor), Wintrust (Partner Sponsor), and several generous individuals, coincides with Douglass’ bicentennial year and includes related education and public programs. Tuesday-Sunday 10am-5pm, Thursday 10am-6pm. Closed Mondays. Extended hours vary by season, see website.